If you stand just past High School Hill on Route 9 in Irvington, N.Y., and look west toward the Hudson River, you'll see a beautiful white house with lots of columns and terra cotta tiles that evoke a Mediterranean elegance. It is one of many mansions nestled on these leafy green streets; memories carved in stone from a time when this suburban town was the jewel of the "Hudson Riviera." Kykuit, Shadowbrook, and Nuits, Sunnyside, Hillside, and Strawberry Hill — these were the homes of robber barons and writers, judges and doctors, the 1 percent of the Gilded Age and the early 20th century. But Villa Lewaro, that white house, was unique. It was built by Madam C. J. Walker, who was born Sarah Breedlove in 1867, one of six children and the first born free. Walker rose to prominence as the first nationally successful black female business magnate in the country. She and her daughter, A'Lelia, were the hair care queens of black America. By the time she began building Villa Lewaro in 1917, the New York Times Magazine estimated her net worth at "a cool million" (a fact that didn't stop some of the neighbors from being appalled that a black woman was moving into town). 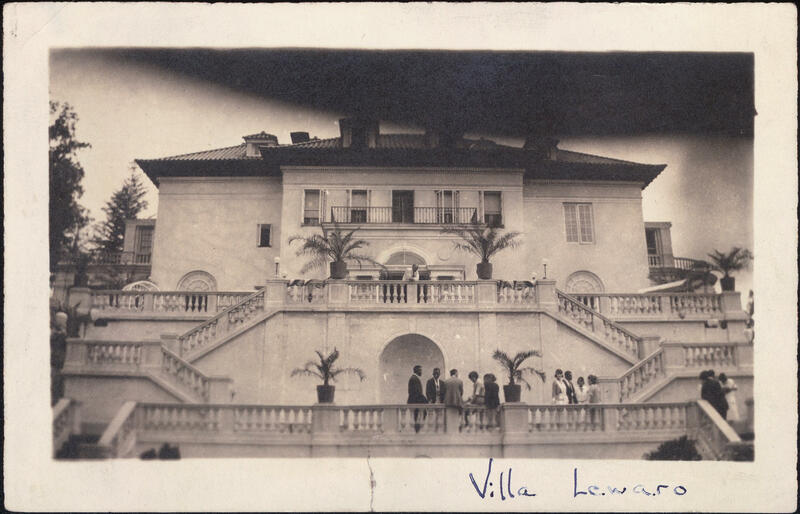 Villa Lewaro was named after A'Lelia, back before she added the A-apostrophe to her name: Leila Walker Robinson. Le-Wa-Ro. Until recently, the Walker legacy was treated somewhat poorly by history. The house itself was nearly torn down in 1976. It was saved, not for the memory of the women who inhabited it, but for the rare old growth trees they transported to its grounds. By those unfamiliar with her legacy, Madam Walker is often still painted as an opportunist who made money off of straightening black hair (a process she was adamantly against, according to her great-great-granddaughter A'Lelia Bundles, who wrote her own biography of Walker called On Her Own Ground). A'Lelia is rarely remembered at all, and when she is, it is as the prodigal daughter under whom the Walker hair care empire shrunk drastically. 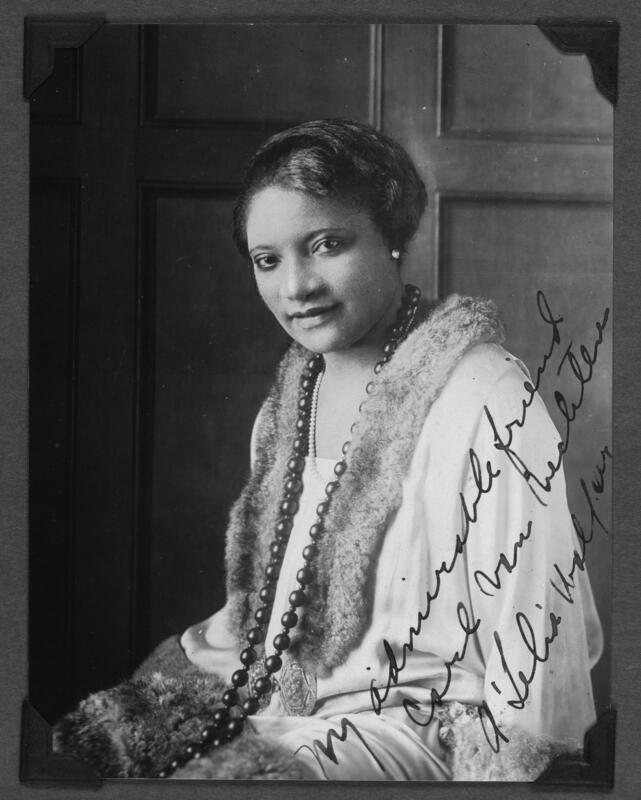 Or, as historian Eric Garber put it in his essay A Spectacle in Color, while "Madam Walker had been civic-minded, donating thousands of dollars to charity, A'Lelia used most of her inheritance to throw lavish parties." These were soirees that lasted for days, sparkling with the royalty of the Harlem Renaissance, like Alberta Hunter, Florence Mills, Paul Robeson and Langston Hughes. Actual royalty occasionally attended A'Lelia's "at homes" as well, as did many of the top entertainers and artists of the day, whether black, white or brown. In his autobiography, The Big Sea, Langston Hughes wrote that Walker's parties were "filled with guests whose names would turn any Nordic social climber green with envy." It's easy to dismiss these events as fluff and folderol. But Walker's parties, both in Irvington and at her Manhattan salon, The Dark Tower, played a crucial, if invisible role in the Harlem Renaissance: They provided a safe, welcoming environment for queer people at a time when there were few other social options available. While she herself was not known to be lesbian or bisexual, Walker's parties were places where anyone could express their sexuality however they pleased. Many of those who attended were among the leading gay artistic lights of their day, including Hughes, Countee Cullen, and Carl Van Vechten. All three counted Walker among their closest friends, and immortalized her in their writings. Hughes famously coined her "the joy goddess of Harlem's 1920s." As much as Walker's parties helped made a place for these queer people, they in turn helped make the Renaissance what it was. In his groundbreaking historical survey Gay New York, historian George Chauncey wrote, "Gay social networks played a key role in fostering the Renaissance," including "the extravagant 'mixed' parties thrown by the millionaire heiress A'Lelia Walker." Walker's parties weren't just for the rich and famous. Mabel Hampton, one of the early active members of New York City's Lesbian Herstory Archives (home to "the world's largest collection of materials by and about lesbians"), recalled being invited to one such event by her girlfriend sometime in the early 1920s. "There was men and women, women and women, and men and men," she said in a taped interview from 1983, "And everyone did whatever they wanted to do." Sadly, almost all of this is forgotten today. I grew up in Irvington, and though I heard occasionally about Madam Walker, there's no monument to A'Lelia around. As a young gay boy in the 1980s and '90s, it was easy to believe there was no such thing as gay history, at least not in Irvington, where all the nuclear families lined up in neat little rows on streets that went in alphabetical order from Astor to Buckhout to Cottenet. It wasn't until I was in my 30s, when I started an organization called The Pop-Up Museum of Queer History, that I discovered that many of the greatest gay artists of the Roaring '20s had partied for weekends at a time not a half-mile from my parent's house. Were she alive today, A'Lelia would have turned 130 this summer. Maybe she wasn't half the businesswoman her mother had been. (Though maybe not even Madam Walker could have steered a company through the rocky waters of the Depression.) But A'Lelia was a pioneer in her own right, and dismissing her as a Gilded Age party girl does a disservice to both her memory and our understanding of that time in arts and letters. Who knows what important creative, sexual or emotional relationships were forged at those parties, or whose eyes were opened to other ways of living? And what about the countless young queer people, like myself, who learned to believe that history holds nothing for us, and nothing like us? A'Lelia Walker made space for us then. We'd do well to return the favor.